This blog has been my home base on the Internet for the last six years and I’m ready to move into a new home. 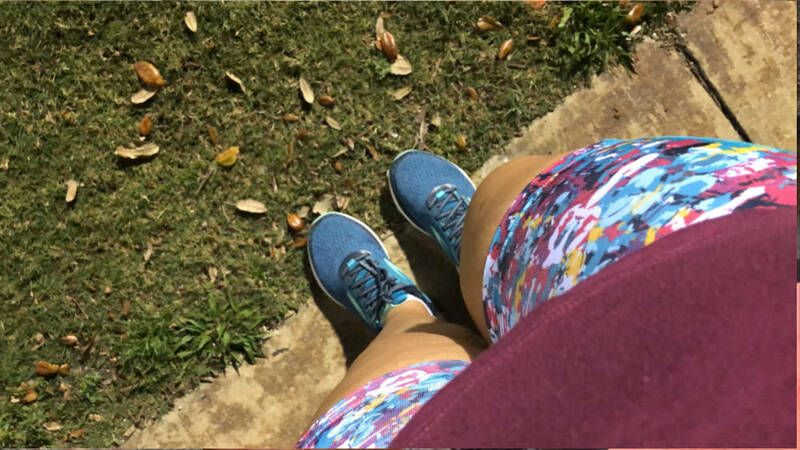 It’s not because I’m no longer a runner, I’m still Kristina Running at my core, but I want to expand what I blog about and this blog title no longer feels fitting. I’m also taking a step back (not a step away) from running in 2019. If you’re like “WHAT BUT YOU GOT SURGERY JUST SO YOU COULD KEEP RUNNING” Yeah I know! Running is one of the great loves of my life, along with Adam, Cecil and a nice cup of espresso. It’s the primary thing I do for stress management and I’ll never stop. However, I’m taking a step back to focus on my overall health.You guys know that in 2018 I actively started a weight loss journey. I was only mildly successful, and in November I started working with a dietitian. I had seen a dietitian twice in the past and I was a bad client both times. See my new post at Kristina Pix on my experience with my current dietitian. Overall I’m really happy with the results and how things are going. I feel like I was a bad client in the past because I always put training for distance races above my overall health. When I worked in an office I would get home from work around 7-7:30pm and then go running until 8:30 or 9pm. After which I would go home, take a shower and finally start making and eating dinner around 10pm… and I’d be really hungry then so I would overeat. My daily schedule has changed since I now work from home, but my work load itself has increased, so I’m often still working until 6 or 7pm. That means I’m cutting back on my running so that I can focus on making healthy meals for myself and eating at better times. I know plenty of people meal prep, or run in the mornings before work, or run during their lunch breaks, etc. That’s really cool and I admire all of that, but that’s never going to be me. I hate meal prep and I’ll never do it. I’ve tried in the past, and I’ve come to terms with the fact that I won’t do it so I need to find a better way that works for me. Similarly I’ll never run in the morning, except for Saturdays because I know I can just come home and take a nap. I’ve tried running before work and I can tell you it’s something I personally will never commit to, so I need to find a better way that works for me. I’m not saying that I will NEVER train for distance races again because I totally will. Right now I’m just taking a step back and putting weight loss as a priority over training. I’m still running 4 times a week, just usually for 45 minutes not 90 minutes. I’m also going to be much more careful about building a training season into my schedule. From 2013 – 2016 I trained all year long. I ran multiple races per year and I thrived in that environment. I also was a lot less busy at work and my priorities were different. During 2017 while I was sidelined from running before and after surgery I fantasized about training again. I wanted it so badly. 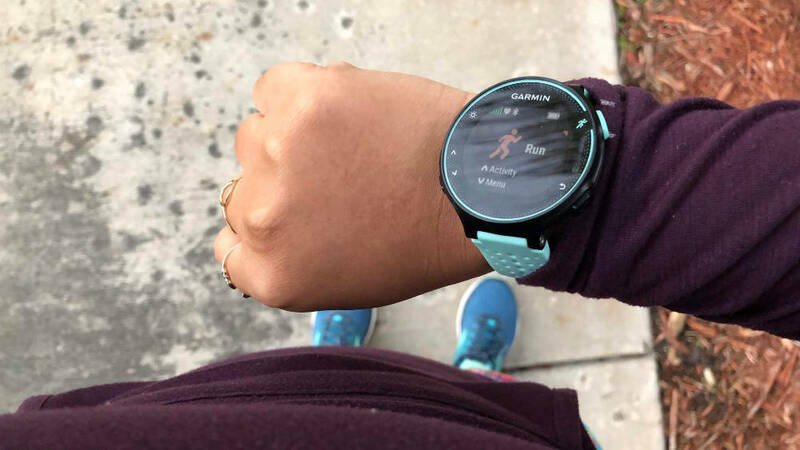 When I returned to running in early 2018, a year ago now, I jumped right back in head first. Ali was much smarter, and she didn’t start training until she was ready to train for a specific race. I wish I had done that because I have been experiencing burnout since about October. I thought the burnout was due to my work schedule getting out of control in Q4, and that was most definitely part of it. However, if I’m being honest, I just wasn’t enjoying my long runs as much, and started seeing 2 to 2.5 hour runs as a burden rather than an exciting achievement. I hit all my post-surgery milestones and then instead of having a race, I had three more months of training to get through. That was poor planning on my part. So all of this is to say my love of running is burning as strong as ever, but my training is being put on the back-burner as I allow my weight loss journey to take precedent over it this year. I will no longer allow myself to have the excuse of “I’m tired, stressed and hungry, so I overeat, but my schedule is what it is,” because there are parts of my schedule I am fully in control over. That’s probably the biggest change you’ll see over on Kristina Pix. I’ll still be blogging my life, but until we get to July/August I won’t be training for anything in particular. The next race I train for will be the Fort Lauderdale Half Relay where Adam and I (aka Team Cecil’s Parents) will go for a relay PR :). Okay, what does all this have to do with the *real* reason I took a blog hiatus? When you’re a run blogger or an active part of the online running community, you see everything through rose-tinted runner’s glasses. Once I started working with a dietitian in November I knew I was going to prioritize my overall health over training. That’s really hard to do when you’re caught up in everyone else’s running successes, and when you write a blog largely dedicated to talking about running. Which is to say I easily get caught up in it all and don’t want to feel left out, so I had to step away. I also didn’t want to talk about weight loss in the context of my history with disordered eating again. You know I am a big proponent of talking about mental health, but I am ready to pass the torch. I started this blog when I was about a year or so into therapy for my eating disorder. Writing in this blog was a part of my therapy and it also allowed me to connect with other people who had similar experiences and that was helpful. Now I am in a really positive mindset. I can honestly say I am the happiest with my body now than I have ever been. That’s not to say I don’t want to change it in some ways or make it healthier because I do. What it does mean is that right now I am comfortable with my body in a way that I NEVER was when I was a size 00. That girl could barely look in the mirror, she showered with the lights off, and wanted to lose even more weight. I shower with the lights on now, haha. I have very little left to say about my eating disorder because I feel like it’s just not important to me anymore, and I have nothing left to share about it. My final thought on the matter is that it does get better. If you’re struggling, keep fighting to improve your mental health because it’s worth it. Now I’m excited to talk about a bunch of other things! Like all the details of my life because I am an oversharer! Hop on over to KristinaPix.com where the story continues. 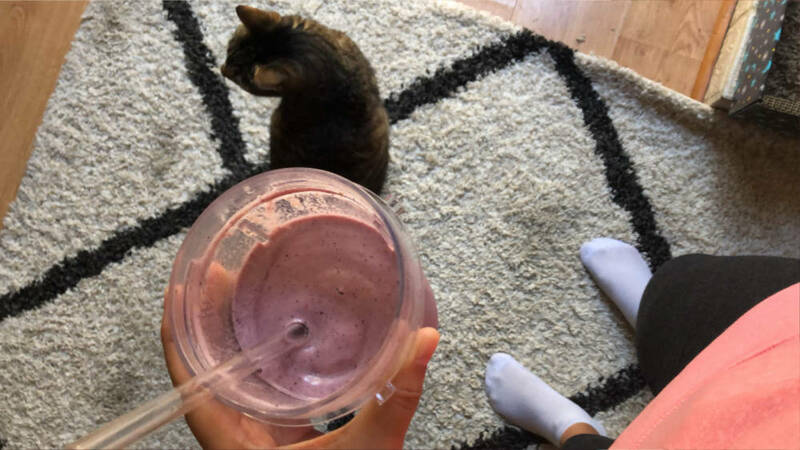 Today’s new post on KP is about working with a dietitian since I thought that would be a good follow up to this post, but mostly it’s going to just be a daily blog about my life. Hope to see you there! For the last time (here), I’ll talk to you again soon! Of COURSE you know I’ll be following the new blog! I definitely get why you’d feel burnt out, and after taking so much time off for recovery etc that can be so discouraging. I spent months after surgery wondering why I didn’t want to train for a race yet and feeling like you were making so much more progress on distance etc with your new coach! I’m sorry you feel like that was a mistake for you. I’m looking forward to this next chapter in your blogging life and to see how running looks for you now…as well as the other stuff, because I like following you for the other stuff just as much! It’s the end of an era!!! I will miss Kristina Running but I’m already following Kristina Pix! Running 4 times a week for 45 minutes is still a lot of running! 🙂 Definitely not the same as going out for hours… Ugh, that does not sound fun to me right now! Right now the longest I think I feel like doing would be like a 1.5 hour trail run every other week or something! Otherwise, 45-60 min runs are just fine by me! I’ll be checking out the new blog too. What does the blog name mean to you/how did you choose the name? I like to hear the back story on blog titles! I love this update and all the growth you have had over the past year! Big changes for the better, my friend. I can fully relate to being a runner that never wants a plan or to train for a race. I love going out 3-4 x per week at whatever pace and mostly whatever distance (2-5 miles is my range). I have been this way for YEARS and don’t see myself changing (but would be open to it should that ever happen). I think focusing on your health, wellness and what makes you happy is about the best goal you can have. I’m along for the ride! !